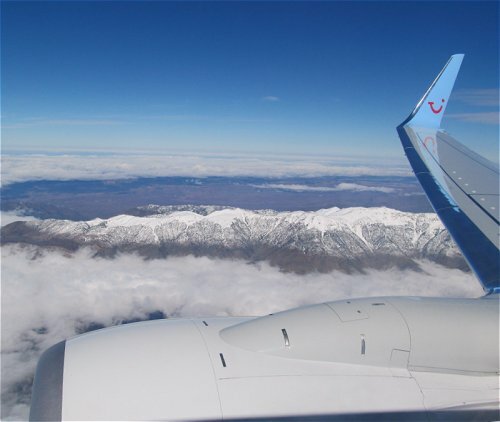 That photo of the peaks of the Atlas Mountains was taken as our plane approached Agadir. On the flight to Morocco it occurred to me that there are close similarities between an in-flight magazine and Univeral Music's Sinfini website as both are funded and controlled by major corporations to make customers feel good about their products; which is why in-flight magazines never talk about deep vein thrombosis or lost baggage, and rarely have anything worth reading in them. Movers and shakers in the theatrical world have a more balanced view of the current crisis in the arts than their music colleagues, presumably because thespians do not have Norman Lebrecht as a muse. The recent criticism by the National Theatre's artistic director Sir Nicholas Hytner of the BBC for its "Downton Abbey ratings mentality" towards arts programming was particularly apposite in view of Radio 3’s cringe-inducing Baroque Spring. On a much more positive note Supraphon has released a 3 CD box of symphonies and concertos by the Czech composer Viktor Kalabis (1923-2006) to mark the ninetieth anniversary of his birth. Kalabis was a champion of Martinů’s music and his other audible influences include mid-period Stravinsky and Hindemith. Among the musicians appearing on the Supraphon set are Josef Suk, Jiří Bělohlávek, and Václav Neumann. All of the works on this budget priced release deserve to be heard despite classical music's prevailing Downton Abbey ratings mentality, but the stand out is Kalabis’ Concerto for Harpsichord and Strings, Op 42 which is conducted by the composer with his wife Zuzana Růžičková as soloist. Also on Facebook and Twitter. Header photo is © On An Overgrown Path 2013. No review samples were used in the preparation of this review. Any copyrighted material on these pages is included as "fair use", for the purpose of study, review or critical analysis only, and will be removed at the request of copyright owner(s).